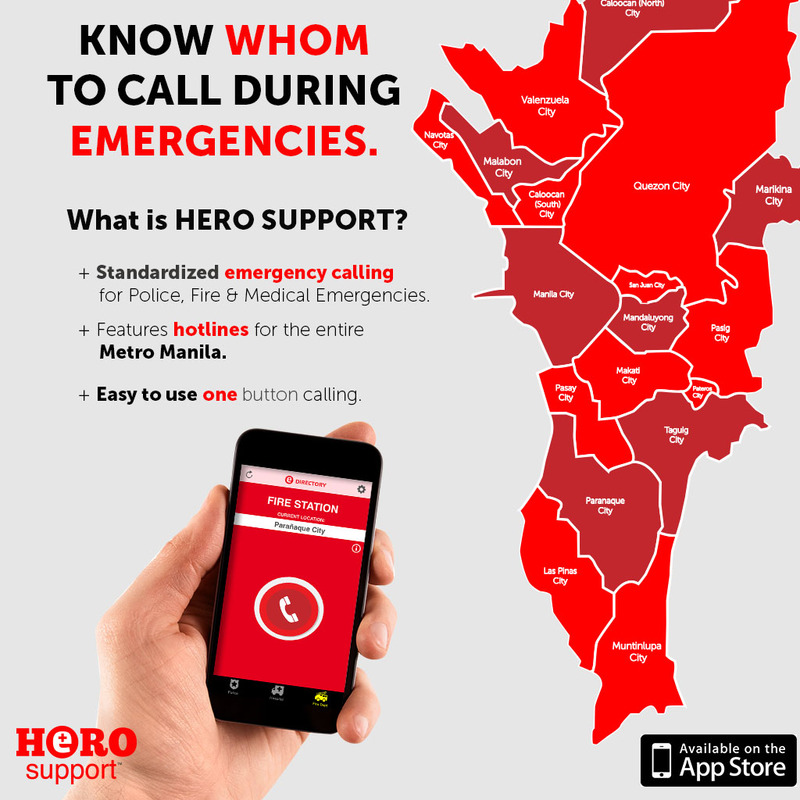 Hero Support lets you call any emergency hotline in Metro Manila in seconds, without having to memorize or save each and every number in your phone. 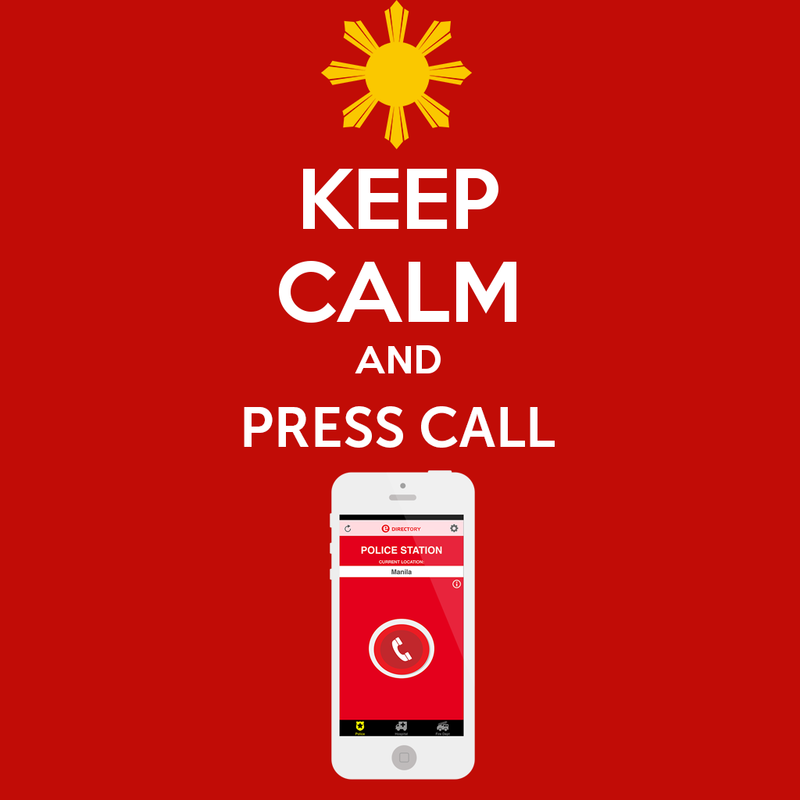 Thus, we decided that there needed to be a solution to simplify emergency calling in the Philippines. The biggest difficulty we encountered was that each and every contact number for police, fire, and ambulance services are different per province, city, or municipality. Since we could not ask all the police precincts, fire stations, and hospitals to come up with one single centralized contact number, we tried to come up with a solution to use the existing hotlines and standardize the process for calling all of them. 3) To make sure the right hotline per location is used but still being able to follow objective 1 & 2. We believe that if we be able to integrate all three objectives with this app, it would help a lot of people especially on future emergencies. Formally, the app is called “E-Directory” because it’s simply a directory of emergency numbers. But we gave it the nickname “Hero Support” because the movie “Sky High” happened to be playing on tv while we were brainstorming, and the name of Hero Support just seemed to fit when we heard it in the movie. We chose that nickname because we know that we aren’t the actual heroes who would be doing the saving during the emergencies, but we’d only be making it faster and easier for them to do their jobs. To standardize calling, we tapped into one of the oldest technologies that exists in telephones—the speed dial. For ease of use, we wanted the app to only have one dial button so that any user can operate it. Next, we thought of programming it to detect the user’s location at any given time. Once the user’s location is established, the app automatically loads the nearest police, fire station, or hospital number under the appropriate categories. 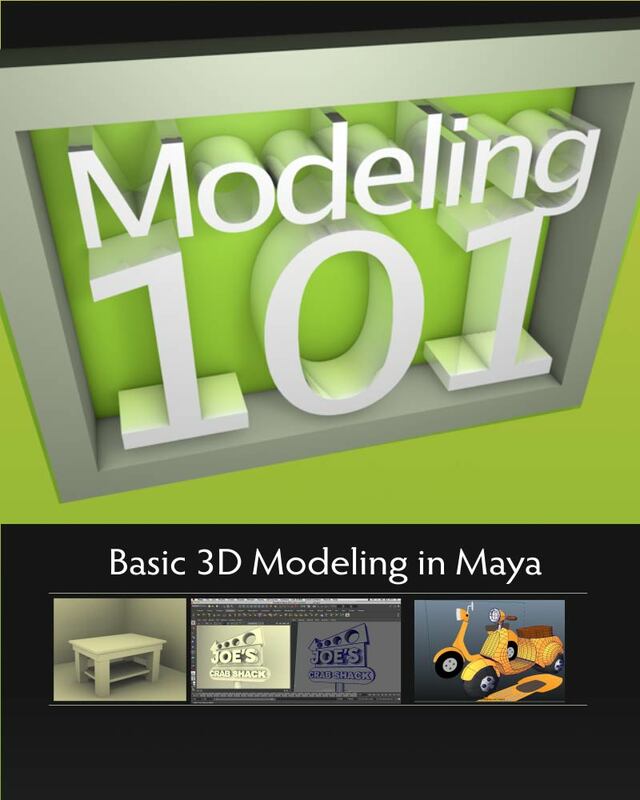 Once the user selects the type of emergency applicable to the situation, all that is left to do is to press the call button to be connected to the nearest hotline. 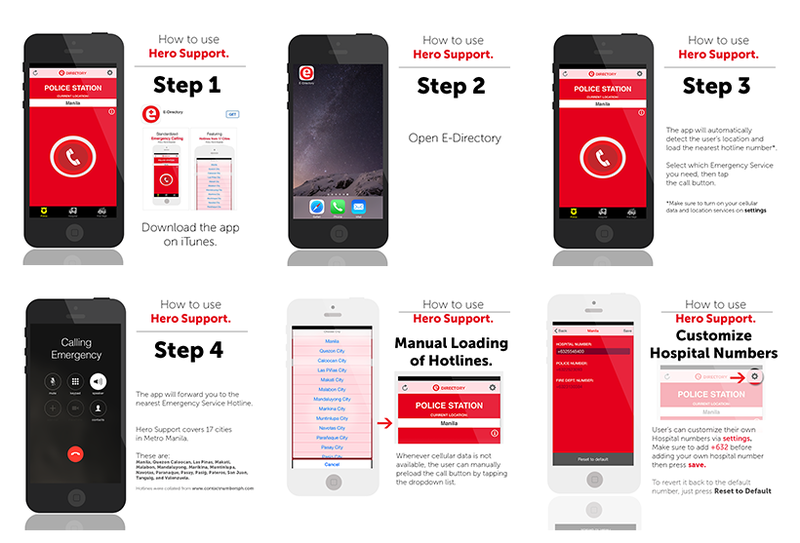 Since coming up with the app, we already encoded the emergency hotlines for 16 cities and 1 municipality within Metro Manila. The app is now available for free download on the Apple App Store, and it has been getting a lot of good feedback from users. While it is only currently available for ios phones, we plan to make the app available on the Android platform soon. We are also working on getting the emergency numbers for different locations outside of Metro Manila, and we hope to expand to the rest of Luzon soon, with Visayas and Mindanao on our sights as well. We believe that the app will be able to help a lot of Filipinos in the future, especially in case a natural disaster strikes again.